The State Board of Education will vote this week on whether to accept a Mexican-American studies textbook opponents have called racist and inaccurate. With state education officials poised to vote on a controversial Mexican-American studies textbook, Hispanic activists, scholars and state officials gathered in the lobby of the Texas Education Agency Tuesday to protest its potential adoption, saying the proposed text is inaccurate and racist. Activists called on the State Board of Education to vote against the textbook. The state board heard more than three hours of public testimony Tuesday, and will discuss and vote on the matter Wednesday and Friday. Of 37 people who testified before the board by the end of Tuesday's hearing, 35 opposed the textbook and two, including Dunbar, supported it. The textbook, titled “Mexican American Heritage,” was the only submission the board received after putting out a call in 2015 for textbooks for high school social studies classes, including Mexican-American studies. The board unanimously voted Tuesday morning to accept more bids for ethnic studies textbooks for 2018, which could include Mexican-American studies. Cynthia Dunbar, CEO of Momentum Instruction, the company behind the controversial textbook, has said critics are not accurately representing the book’s content. After Tuesday’s press conference, Dunbar, who previously served on the State Board of Education for four years, said she had sent the board a letter from a constitutional lawyer asserting that any move to reject the book would be "unconstitutional." 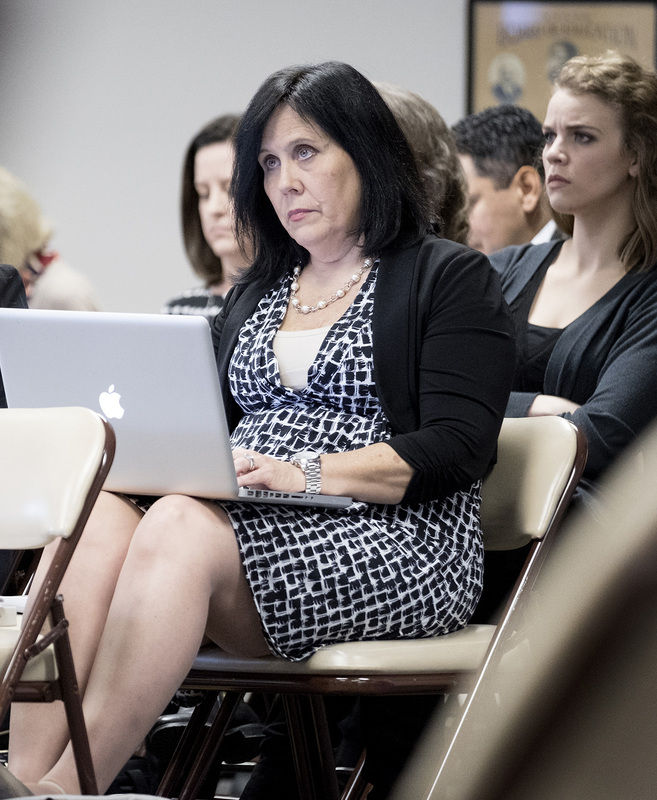 The textbook meets all requirements of the Texas Board of Education’s bid for textbooks, which called for social studies materials more broadly, she said. But board members opposing the book said the factual errors are unacceptable, no matter how vague the expectations of the board. Board member Ruben Cortez, D-Brownsville, said at the press conference that Dunbar’s textbook would perpetuate the “hatred” against Hispanics stirred up after the recent presidential election of Donald Trump. “This ‘bad hombre’ is going to ask the State Board of Education to reject this book during a roll call vote,” Cortez said, referring to Trump’s claim during the third presidential debate that some Hispanic immigrants are “bad hombres” and should be deported. A committee of professors and high school teachers reviewed the textbook and pinpointed more than 140 factual, “interpretive,” and “omission” errors – leading them to argue the book doesn’t meet basic standards. University of Texas at Austin professor Emilio Zamora, who was part of that committee, said he is working on a draft of a new Mexican-American studies textbook to be ready by by 2018. He told the board that even the newest version of the textbook Dunbar posted, which she said addressed opponents’ concerns, is filled with basic errors. The new draft is “saying the same thing, just using different words,” said University of Texas at Rio Grande Valley professor Christopher Carmona, who was also on the committee. The TEA has posted samples of the textbook draft on its website. In one of the most controversial passages, the textbook's writers wrote, “Stereotypically, Mexicans were viewed as lazy compared to European or American workers.” Dunbar has said that section was describing existing stereotypes that prevented Mexicans from being hired. Dunbar’s writers removed that language from the most recent version of the textbook. Another passage in the textbook said that the 1960s Chicano movement represented a desire to separate from the “white American community.” The committee corrected this passage, saying that sentiment was true of a small radical group in the Chicano movement, not the whole. The corrected version says the term “Chicano” in the 1960s “implied a racial and cultural separation from mainstream American society—and sometimes antipathy towards it…” Educators Tuesday said that is still inaccurate. “We have zero desire to have a textbook out there that would include ‘verified factual errors,’” Dunbar said Tuesday. Board member David Bradley, R-Beaumont, drew criticism earlier this month when he declined to turn over board-related emails sent from a private server. Texas Freedom Network, a left-leaning advocacy group that closely monitors the state board, ultimately acquired the emails from Vice Chairman Thomas Ratliff, R-Mount Pleasant. For updates on this story, follow Aliyya Swaby on Twitter at @AliyyaSwaby or read her live tweets below. 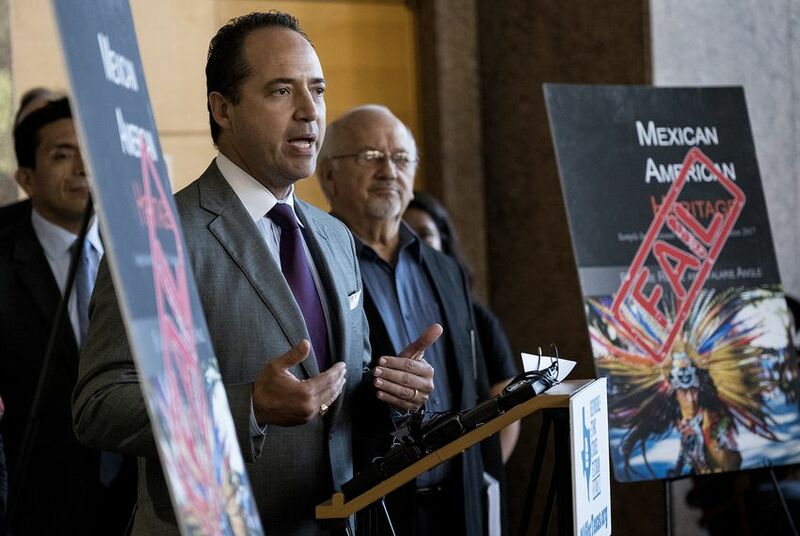 Hispanic advocates, activists and elected officials from across the state on Tuesday called on the Texas Board of Education to reject a proposed Mexican-American studies textbook they blasted as racist.